Long before Jon Stewart and Steven Colbert, there was Mark Russell, daring to joke and sing of the often absurd political process. He started in a little piano bar on Capitol Hill – right across from the lawmakers themselves. Until he retired in 2010, Mark played off the day's headlines, performing stand-up comedy while accompanying himself on the piano. Reading three or four newspapers a day allows him to constantly update his material. 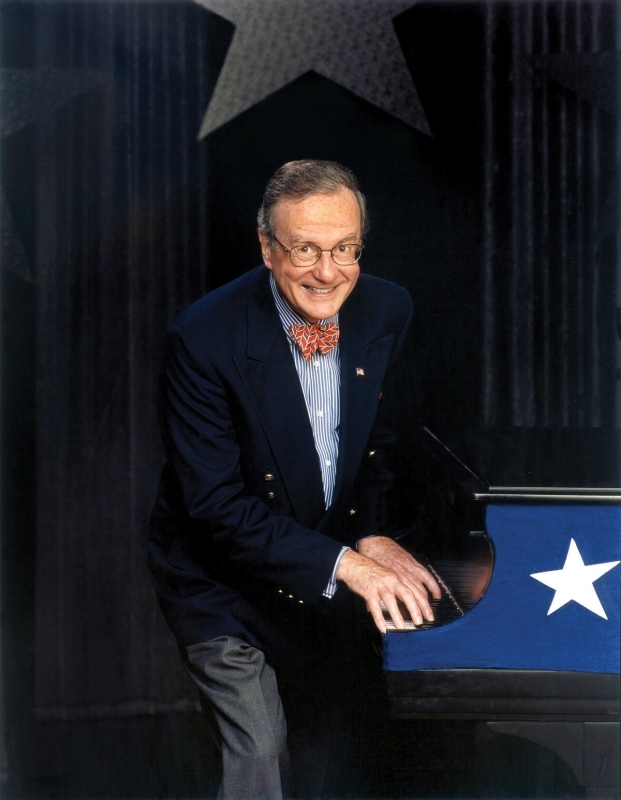 Mark Russell spent 30 years on public television as host of the "Mark Russell Comedy Specials," where it was consistently among the top-rated shows on that network. During those same years he wrote a syndicated column, and recorded CDs, tapes and videos. The rest of the time Mark Russell was on the road performing at colleges, conventions and in theaters. Today, while no longer writing a column, he continues to write and frequently update his website. And he continues to be in demand both as a performer and as an emcee for numerous charitable evenings. Mark Russell still lives in Washington, DC with his wife. He is the father of three and the grandfather of seven.